Starting a camp ain’t easy!! 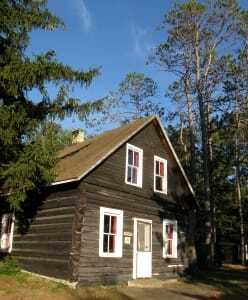 Oneida was originally a loggers’ cabin, and now serves as the TP Museum. After 68 years of summer camp, Towering Pines now offers tons of great amenities to the campers and staff. But the path to this beautiful place has included a few difficult twists along the way. Go to that first TP summer of 1946, and you’d find that things were a bit less polished back in the day. The land & then-existing facilities were purchased in 1945 for $20,000 by Marion “Pa” Jordan and his son John Jordan. That sounds like a great deal in 2013 dollars, but it was a staggering sum during the WWII era. You might not recognize Towering Pines its inaugural summer! 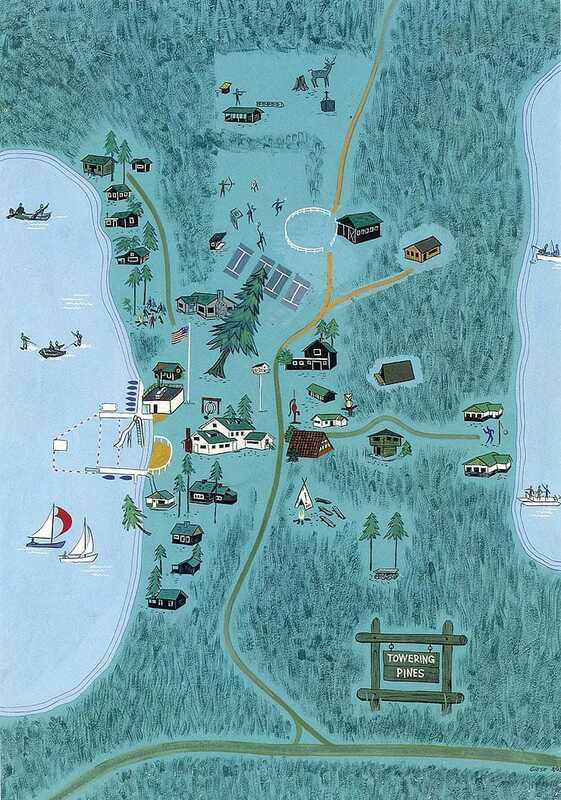 Noticeably absent from todays’ TP were the Rec Hall, Horse Pasture, Tennis Courts, Beach House, Barn, Boat House, TP Zoo, Waterfront piers, running water, and most of the cabins. 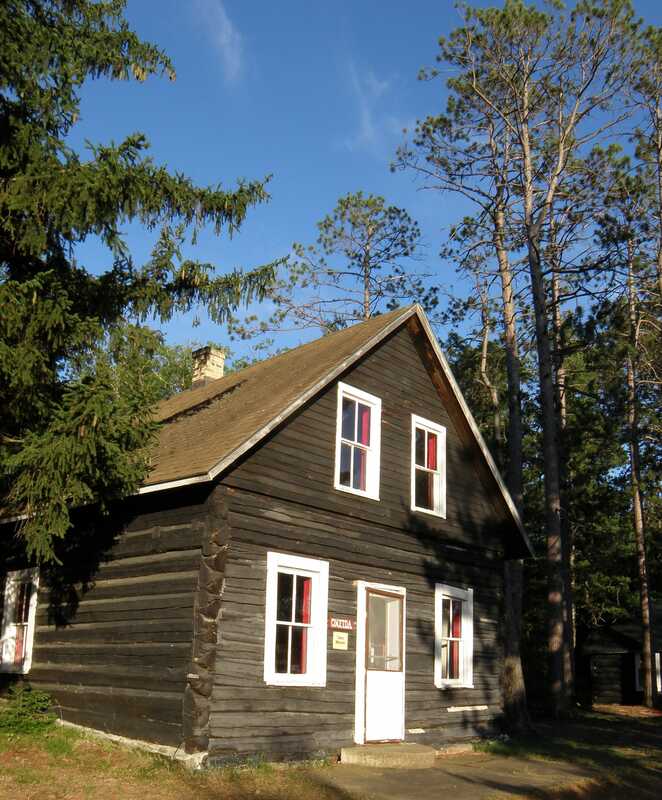 Before becoming a summer camp, the land was used for homesteading in 1884, as a logging camp that felled every tree but the iconic Leaning Pine, and as summer resort until 1945. To fill the camp in those early years, Pa Jordan worked as a door-to-door encyclopedia salesman in the off-season, simultaneously selling his goods and recruiting potential campers. Pa’s wife, Katy, called every doctor in the phonebook to initiate prospects. The camp had an impressive 80 campers that first summer. Pa Jordan later returned to a career in education, and finished his career as a District Superintendent. The “Marion Jordan Elementary School” in Palatine, IL is named after Pa.
Because the camp opened right after WWII ended, things like bunks, blankets, etc. were easily purchased from army surplus stores. Other camp necessities like motors, canoes, boats, etc. were difficult to find, since they hadn’t been manufactured during the war. Food was still being rationed that first summer. Say it ain’t so!! Pa and John mulled over the possibility of opening Towering Pines as a camp for girls, but ultimately decided not to compete with the nearby existing Camp Woodland (under different ownership at the time). In 1969, the Jordan Family – now with 25 years of camp experience – bought Camp Woodland and continued to operate it as a camp for girls beginning in 1970. As Camp Woodland turned 44 and Towering Pines turned 68 this summer, both camps are now run by seasoned third-generation Camp Directors: Jeff & Jen Jordan at TP, and JoAnne Jordan-Trimpe & Susan Jordan-Dellinger at Woodland. After almost seven decades of hard work and passion, the camps are beautiful places that provide your children a safe, nurturing camp culture. Thanks for sharing your campers with us!